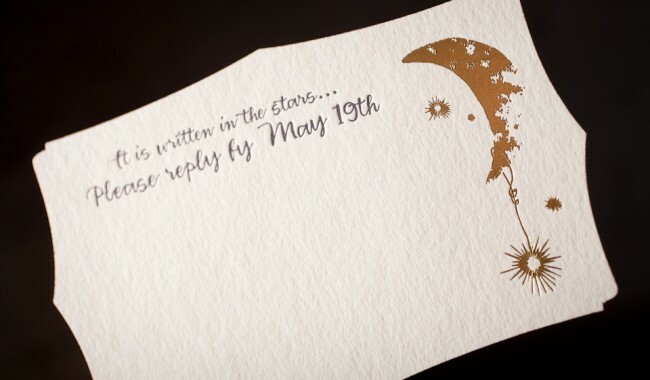 custom wedding invitations with moon. 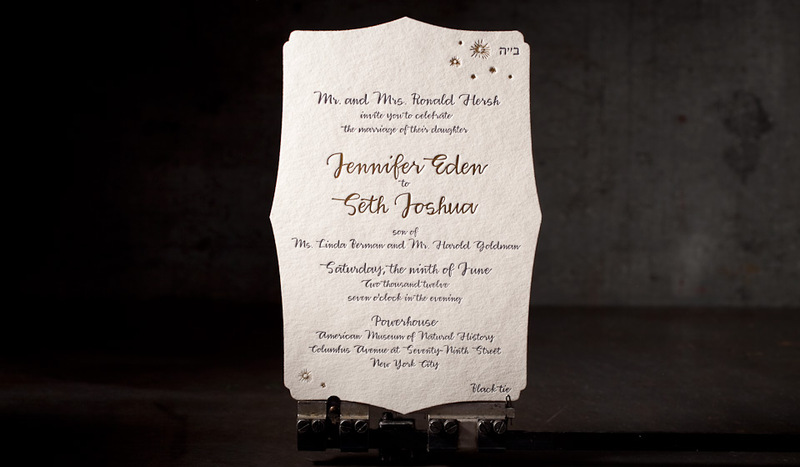 letterpress, foil stamping, and offset printing. Smock ivory 1-ply + 2-ply bamboo paper. 2 letterpress inks (276U + gold 466U), 2 offset inks (276U + gold 466u), plus gold matte foil. 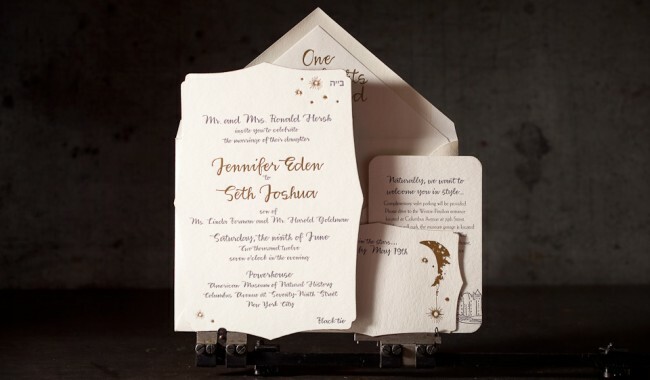 printed on our Heidelberg Windmill 10 x 15, our Heidelberg GTO 52, and our Kluge EHD 14 x 22.
bells and whistles: custom design, Chesapeake diecut, metallic gold edge painting, 2 color offset backing, foil stamped envelope liner, corner rounding. 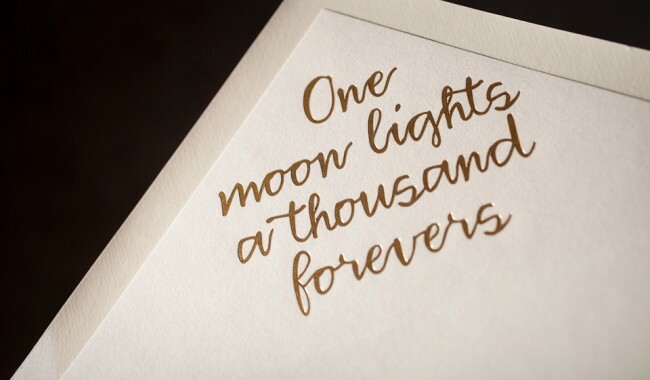 see this suite’s wedding program with moon.